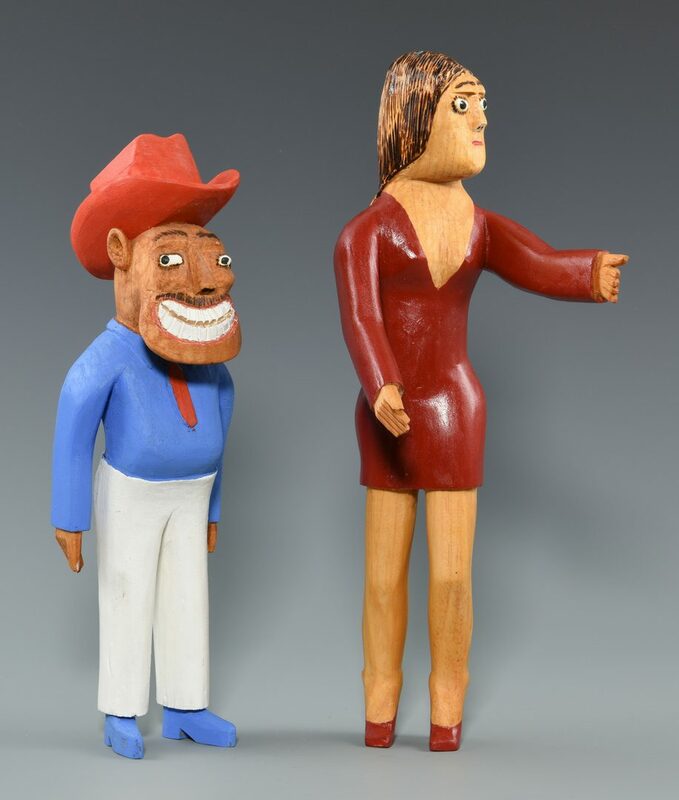 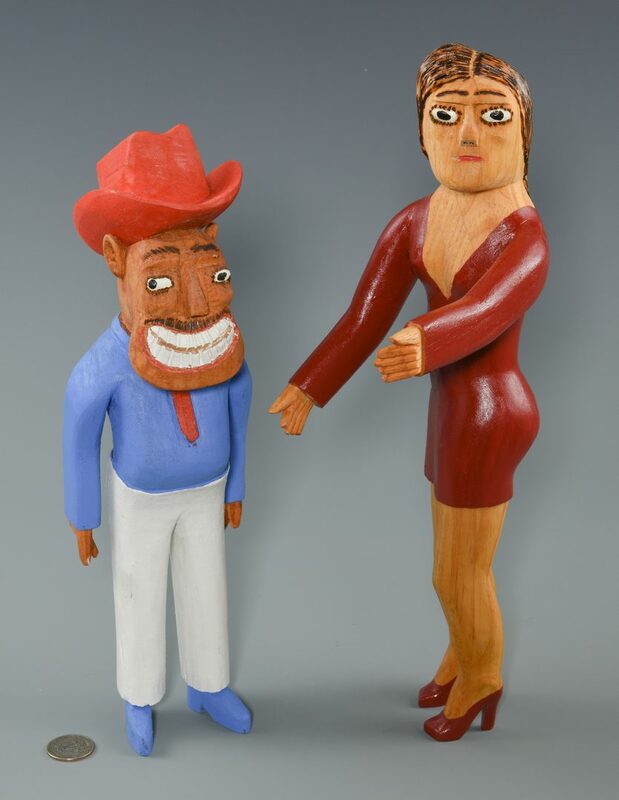 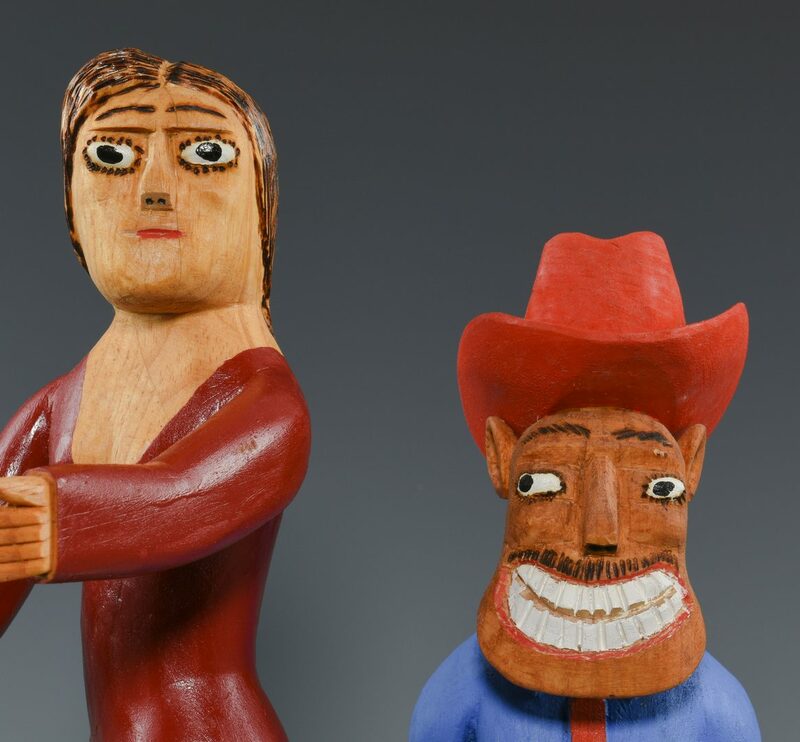 Two (2) Sulton Rogers (Mississippi, 1922-2003) painted wood folk art carvings including a man in a red cowboy hat and a woman in a red dress. 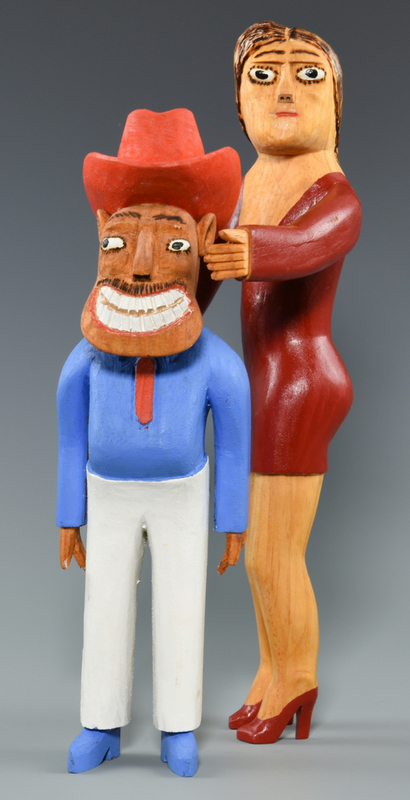 Female carving signed "S R" on bottom of heels. 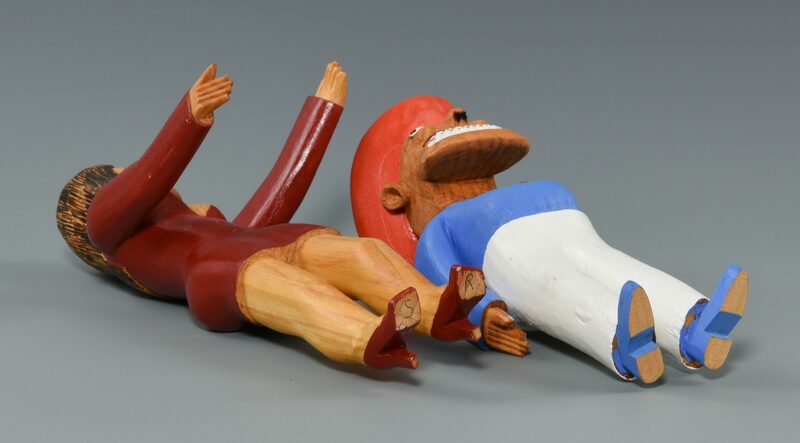 Carvings range in size from 12 1/4" H x 3 3/4" W x 4" D to 14" H x 6 1/4" W x 5 1/4" D. Both items late 20th century. 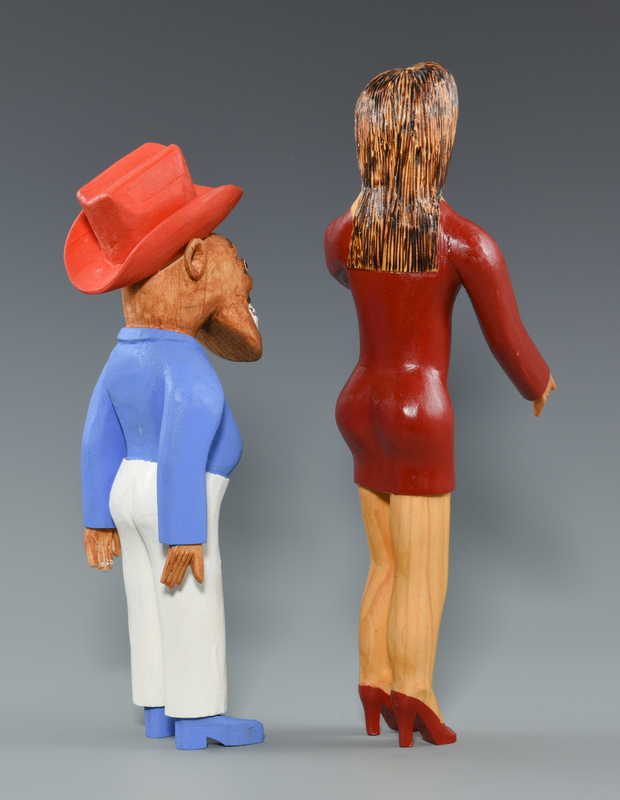 Provenance: Property of the Arts Center of Cannon County, Tennessee. 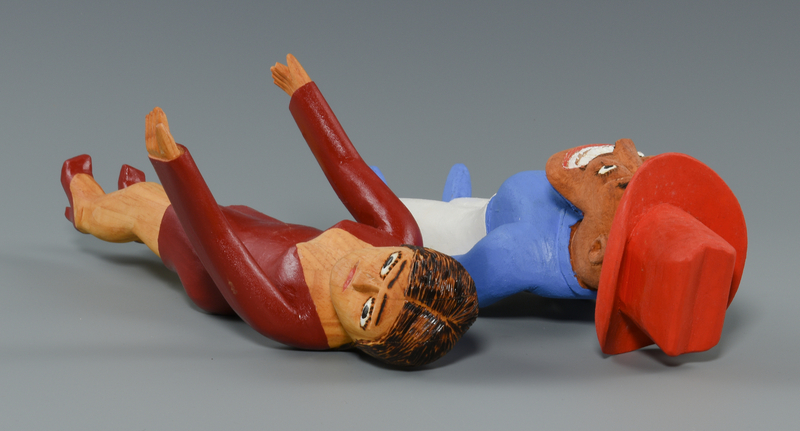 CONDITION: Minute scuffs, overall very good condition.